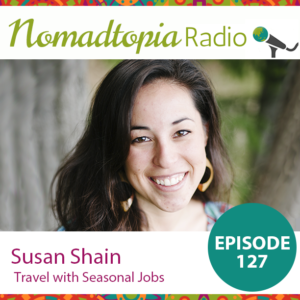 After college, Susan started working seasonal jobs—at a ski shop in Colorado, as office manager for a sea kayaking company in Alaska—and she was hooked. Several years later, after teaching English abroad, she started her freelance writing career. In this episode, we talk about the pros and cons of seasonal jobs, tips for making a living as a writer, and lots more.